The ongoing conflict discussed here between the Kingdom of Morocco and the people of the little known Western Sahara is not mentioned in high school textbooks and is not a prominent story mentioned in media, if it is even addressed at all. On occasion the dispute will gain attention, as it has recently following contentious statements by UN Secretary General Ban Ki-moon. The Western Sahara area nonetheless does come up in U.S. foreign policy on the Middle East. What exactly is going on in the Western Sahara, and why does it matter? Morocco was the first country to recognize the United States in 1777 and the two countries have maintained good relations on a variety of fronts such as trade and counter-terrorism. On the periphery of the geographical Middle East, Morocco has been one of the few consistent allies of the United States in a region fraught with instability. The U.S. is a staunch defender of global democracy and human rights, though, and Morocco has been criticized for its unfair treatment of the Sahrawi people; could Morocco’s approach to the Western Sahara affect diplomatic relations between the two countries? Learn more about the subject here and access further information and primary sources below. In 1975, the Kingdom of Morocco annexed an area of land known as the Western Sahara, bordering Morocco, Mauritania and Algeria in northwestern Africa. The people of the Western Sahara, known as the Sahrawi, have pursued independence through a movement called the Polisario Front, which receives support from Algeria and other allies. A breakaway state, the Sahrawi Arab Democratic Republic, operates in the eastern part of the territory but Morocco continues to control the western Atlantic Ocean coastal area. Since 1991, the long simmering territorial dispute has been monitored by the UN Mission for the Referendum in Western Sahara (MINURSO), which has convened several unsuccessful informal talks and official negotiations between the parties involved. The peacekeeping operation in the Western Sahara consists of roughly 500 staff members. The ultimate goal of MINURSO is to resolve the dispute through a Moroccan-held referendum that would offer the Saharawi people the choice of territorial independence, sovereignty within the Moroccan state, or a continuation of the status quo. This goal has been at an impasse for decades as the Moroccan government refuses to relinquish its claim to the land while the Polisario Front refuses to settle for anything less than complete independence. 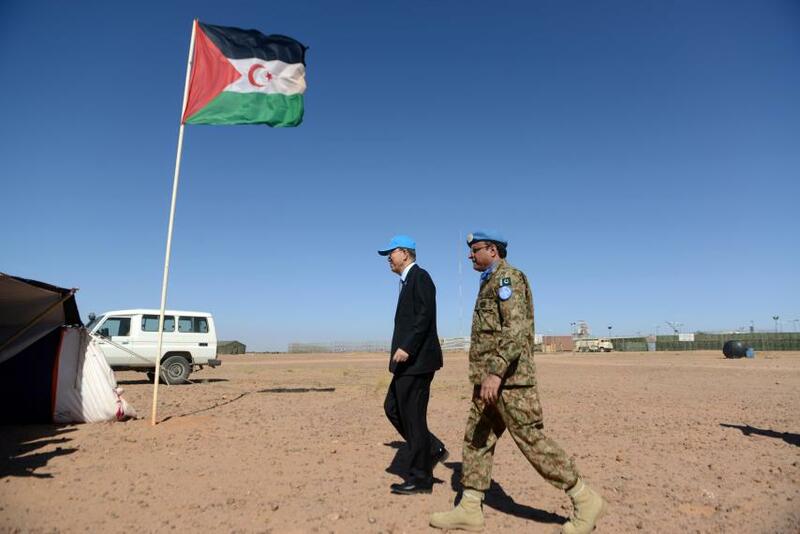 In March 2016, the New York Times reported that tensions were escalating again in the Western Sahara after United Nations Secretary General Ban Ki-moon made a visit to the area. In a statement after his visit, Ban referred to Moroccan involvement in Western Sahara as “occupation,” triggering backlash from Morocco and leading to a retraction of the statement by the secretary general’s office. Moroccan officials have steadily lost faith n Ban’s neutrality, say analysts like McDaniel College’s International Relations professor, Anouar Boukhars, who suggested that Ban Ki-moon’s critical comments were the “straw that broke the camel’s back” for the kingdom’s leaders. Following massive protests in Morocco directed at UN secretary general, the Moroccan government cut support for the UN mission by $3 million. 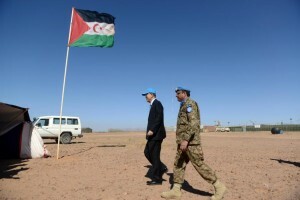 Ban responded by saying he had been “personally offended” by the move and reminded the Moroccan foreign minister that Western Sahara’s status had “yet to be decided.” In spite of UN Security Council efforts to de-escalate the situation, on March 18, Morocco ordered the evacuation of 84 members of the mission. 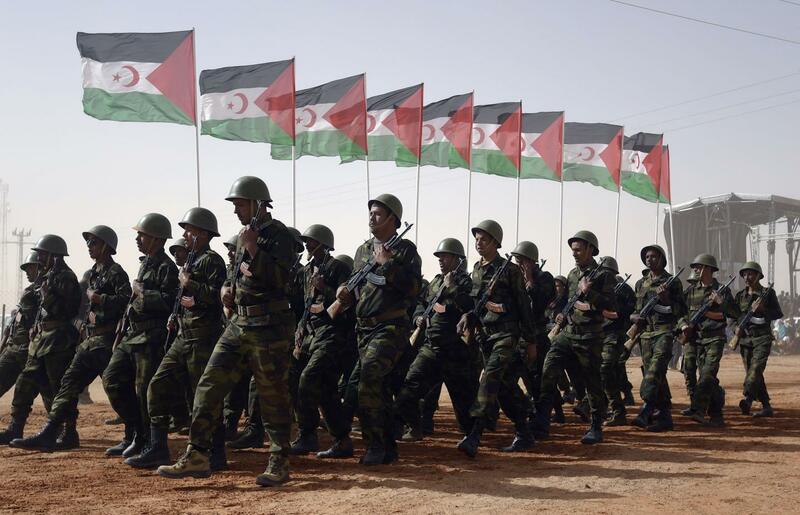 On March 21, Morocco further requested that the military branch of the mission be disbanded “soon.” These recent developments have triggered renewed international interest in the conflict over Western Sahara, but analysts believe Mr. Ban’s action will harm future negotiation efforts. Roughly the size of the U.S. state of Colorado, Western Sahara is a region on North Africa’s Atlantic coast bordering Morocco, Algeria and Mauritania. It was colonized by Spain in 1884 and remained part of the Spanish kingdom for more than a hundred years. An arid region where less than one-fifth of the land is used for agriculture, Western Sahara is home to lucrative phosphate and iron ore reserves and is believed to have untouched offshore oil deposits. The native population of Sahrawis number around 570,000 and the majority religion is Islam. As a result, the Polisario Front, a Sahrawi movement founded in 1973 to campaign for the independence of Western Sahara, launched a guerrilla struggle against what it saw as the Moroccan-Mauritanian occupation of its indigenous land. The conflict lasted until a U.N.-brokered ceasefire was agreed in 1991 and resulted in the displacement of thousands of Sahrawis into refugee camps across the Algerian border in Tindouf, where they remain to this day. The U.N. Refugee Agency estimates 90,000 people are living in the camps, while the Algerian government puts it at 165,000. During the struggle, Mauritania renounced its claim to the region and Moroccan authorities gradually built a wall through the territory, annexing two-thirds of the country and leaving a dangerous no-man’s land between the two that is now patrolled by a U.N. monitoring force. So, what does the United States’ think about the issue? Taking the middle ground, the United States supports Morocco’s autonomy plan for the disputed territory of Western Sahara, considering it both credible and realistic, the U.S. mission to the United Nations has stated. Spokesman Kurtis Cooper said on his Twitter feed, “It represents a potential approach that could satisfy the aspirations of Western Sahara.” This compromise would grant the Sahrawi people autonomy and authority within an area of the Moroccan state. This is an indication that the United States sees the need for a compromise in order to come to a settlement on the issue, but is also not willing to upset the stable relationship it holds with Morocco. How can this essay be used in the classroom? Here are some discussion and essay prompts to help students think critically about what motivates U.S. foreign policy. Firstly, read more about the relationship between the United States and Morocco and make your own conclusions about the comments from the spokesman of the U.S. Mission to the United Nations. In your opinion, did he make the right call? Should he have been more or less supportive of one side or another in the dispute? Why? What do you think the United States prioritizes in its relationships with international partners? The promotion of American values? Education? Trade and economic prosperity? Human rights? Does this change from country to country? Why does the government support, criticize, or intervene in specific situations throughout the world? Why does it release statements about its stance on certain issues? When is it not in the United States’ interests to get involved in foreign disputes? What international issues do you think the U.S. should or should not address? Why would American leaders attempt to stay neutral on certain matters that the public feels strongly for or against? 1884 – Spain colonizes Western Sahara, an area formerly populated by Berber tribes. 1934 – Becomes a Spanish province known as Spanish Sahara. 1957 – Newly-independent Morocco lays centuries-old claim to Western Sahara. 1965 – The UN calls for the decolonization of Western Sahara. 1973 – Polisario Front, the indigenous Saharawi independence movement, is founded. 1975 – Morocco’s King Hassan defies a Hague ruling in favor of Saharawi rights to self-determination and stages the “Green March” of 350,000 Moroccans into Western Sahara. Spain transfers administrative control to Morocco and Mauritania. 1975-91 – Polisario Front fights a 16-year-long guerrilla war against Moroccan forces, which ends with a UN-brokered cease-fire. 1975-76 – Morocco annexes two-thirds of Western Sahara after colonial power Spain withdraws. Polisario guerrillas declare the Saharan Arab Democratic Republic (SADR), with a government-in-exile in Algeria. 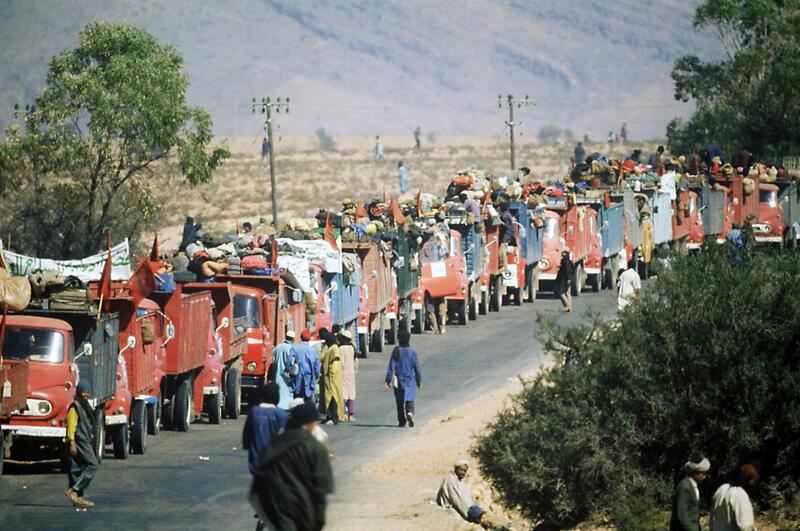 Thousands of Sahrawi refugees flee to western Algeria to set up camps near the town of Tindouf. 1979 – Mauritania renounces all claims to Western Sahara leaving Morocco to annex its share of the territory. 1991-2000s – UN brokered cease-fire ends war but Morocco has yet to hold an agreed referendum on independence. Numerous UN-sponsored talks have failed to yield a breakthrough.